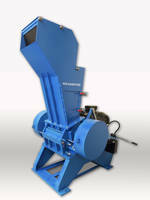 Grinder provides fine screening, washing, and compacting. 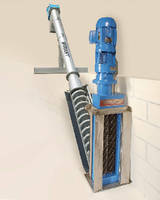 Comprised of TASKMASTERÂ® grinder, stainless steel shaftless screw screen, and control system, SPIRALIFT SL fine screens, washes, transports, and compacts channel-borne wastewater solids while leaving essential organics in flow. PLC-based control system uses flow level data to cycle screw to minimize power and wear. SPIRALIFT can be supplied with choice of electric or hydraulic drives and variety of channel widths, flow, and lift requirements. The SPIRALIFT SL fine screens, washes, transports and compacts channel-borne wastewater solids while leaving essential organics in the flow. This system is easy to install in existing channels, can quickly reduce solids disposal costs and protects downstream equipment. The SPIRALIFT is provided as a fully integrated system including: a powerful TASKMASTER® grinder, a shaftless screw screen, and control system which coordinates the system's normal and special functions. The PLC based control system uses flow level data to cycle the screw to minimize power and wear. 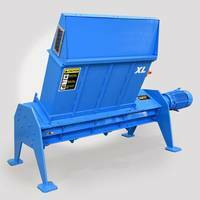 By combining the benefits of a world-class TASKMASTER channel grinder and a dependable screw screen, the SPIRALIFT system is uniquely effective and trouble-free. 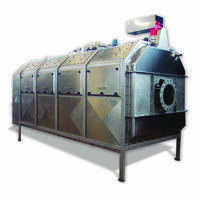 These units are provided standard with stainless steel screens and screw housings. The SPIRALIFT can be supplied with a choice of electric or hydraulic drives and a variety of channel widths, flow and lift requirements. 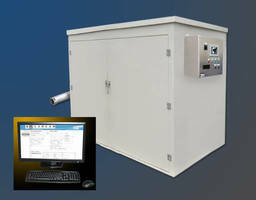 The units can be supplied with optional bagging system, heat tracing or ultra-sonic level sensors. 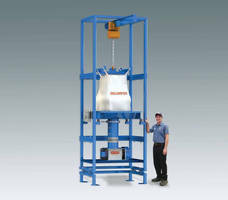 Additional models are available for septage receiving and screening conditioning.